This Pocket Jeepmeter is for high voltage pulse output detectors. It has a range of 0-20 kv. One standard 9-volt alkaline battery powers the PJM. The output voltage of your holiday detector is subject to influence by weather conditions, moisture on the pipe, improper grounding, and soil conditions. In order to assure the absolute highest accuracy and performance from your holiday detectors (jeeps). Pipeline Inspection Company has developed three special Jeepmeters for checking detector voltage output. These Jeepmeters are designed to accurately measure the output voltage of any detector. The model JM Jeepmeter provides the ultimate in accuracy and versatility. It features a digital display of measured voltages. 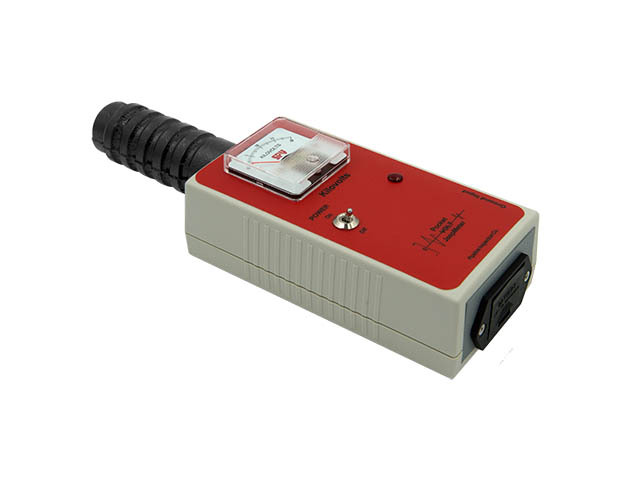 The precision measurement displayed eliminates interpretation errors and is perfect for every day use. This Jeepmeter measures both pulse and DC voltage output. 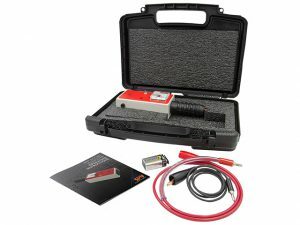 For pulse type holiday detectors, used to inspect shrink sleeves, tapes, coal tars, etc, the JM will measure up to 40 kV. For DC holiday detectors, used to inspect thin lm epoxy coatings, the DC range of JM measures up to 5 kV. When used with pulse type detectors, this Jeepmeter automatically senses the polarity of the pulse. Leading-edge electronics solve the stability and repeatability problems sometimes experienced in the older models.